How might we implement values of health and independence in young-adults to enable them to understand what they put in and on their bodies? 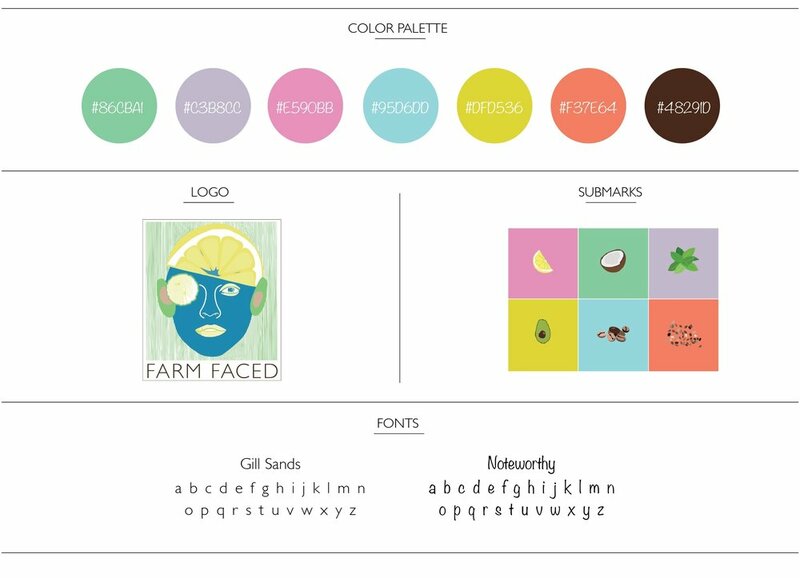 To implement values of health and independence in young-adults, our team created Farm Faced, a company that uses healthy, whole foods to create effective beauty products, simple food recipes, and works educate others on what they are putting in and on their body. Our team used food as a vehicle for conversation, finding similar interests and connecting with each other. Talking casually over food, reduced the stranger tension and let our ideas flow freely. The topic of nutrition came up when team members voiced they had never eaten certain foods. We all started to enlighten each other on new foods to try and the benefits it had on one’s body. Farm Face’s theory of change is focused on education. After researching nutrition in the United States, our team found that 48% of Americans don’t know what they’re eating, 80% of Americans are malnourished, 12.5% of ingredients in personal care products are bad chemicals, and 80% of cosmetic products have at least one of these chemicals. These problems are all linked back to one source, education. Some group members had never tried foods such as kale or avocado. We planted a sense of adventure and experimentation in our group which motivated us to create, test, and learn. After a semester of hard work, fun, and focus, we not only created all-natural products to educate young-adults on nutrition and healthy living, but we created a sustainable business that will continue to grow and educate. Using simple ingredients that are healthy to eat and put on your face, we tested and made a number of recipes, which we compiled into a recipe book. We hope to continue our project in February and hold a sale on Valentine’s Day.